Back in January, at CES 2018, Canon gave some insights in their R&D labs. Three sensors were presented. 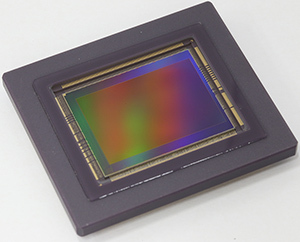 The sensors are a 120 Megapixel CMOS Sensor, a 5 Megapixel Global Shutter CMOS, and a 19μm Full HD CMOS Sensor. If you’re curious to learn more click here. 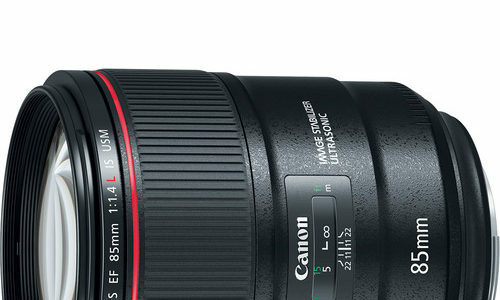 The Canon 120MXS sensor, with a 120MP resolution shows what Canon is capable of. This kind of sensor can be used for many applications, surveillance, scientific experiments, medical etc. 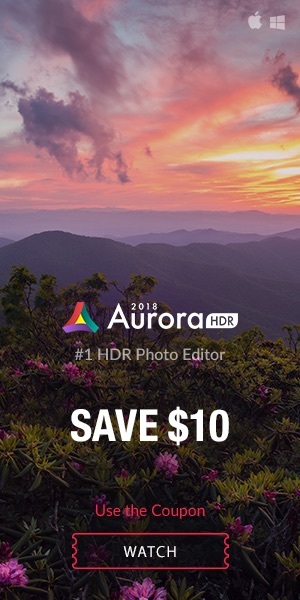 For a mirrorless camera too, I guess. It’s APS-H format. The video below gives you a good idea what you can do with this sensor. The Canon EF 85mm f/1.4L IS is in stock and sells for $1,599 at Amazon (world wide), Adorama, Canon Store, and B&H Photo. Canon Europe posted an interview with the engineers who conceived and designed what is universally seen as the most exciting Canon lens of 2017, and as another optical masterpiece by Canon. The interview appears to be a slightly modified version of an interview posted December 2017 on Canon Asia’s Snapshot site (with more sample images). The interview starts with Mr. Yamaguchi, Canon’s Product Planning Lead, next is Mr. Iwamoto, Canon’s Optical Design Lead, and finally Mr. Okuda, Canon’s Mechanical Design Lead. During the planning of the EF 85mm f/1.4L IS USM, we talked with many professional photographers, including wedding photographers, who would have many opportunities to use this lens. They told us that EF 85mm f/1.2L II USM is highly valued for its excellent expression and bokeh thanks to its large aperture. Being a heavy lens, however, it’s easy to get tired with extended use, and the autofocus speed is not necessarily satisfactory. Some said that even though it’s a large aperture single focal length lens, the addition of image stabilisation would allow worry-free shooting. We focused on striking a balance between clarity of resolution for the centre of the screen that’s a feature of an L lens and the beautiful bokeh on the edges, ideal for popular portrait compositions with subjects in the centre of the frame, while taking realistic weight, size and cost into consideration. In order to reduce the size of the entire lens, both the focus group and stabilising optical system must be lightweight and only move a small amount. For this lens, we used the following new optical arrangement from the front of the lens: the front group, the focus group, the diaphragm, the stabilisation optical system and the rear group. Using highly durable ball bearings in the drive mechanism for this lens reduces load and improves resolution and accuracy. The use of ball bearings also contributes to high-speed autofocus. The heavy focus lens group must be driven with the limited power of the motor, but the focus lens can be driven quickly since the ball bearings reduce the load. The interview comes with a lot of very interesting images of the interiors of the EF 85mm f/1.4L IS. Definitely worth to read. Read Canon Europe’s article “The craft behind the Canon EF 85mm f/1.4L IS USM lens“. The Canon Digital Learning Center posted a set of technical/instructional articles about the new Canon SpeedLite 470EX-AI. The Canon Digital Learning Center posted a set of technical articles about the brand new Canon EOS M50 ( ). Canon’s research division posted a paper named “Development of Gentle Slope Light Guide Structure in a 3.4 μm Pixel Pitch Global Shutter CMOS Image Sensor with Multiple Accumulation Shutter Technology” (Hiroshi Sekine, Masahiro Kobayashi, Yusuke Onuki, Kazunari Kawabata, Toshiki Tsuboi, Yasushi Matsuno, Hidekazu Takahashi, Shunsuke Inoue, and Takeshi Ishikawa). 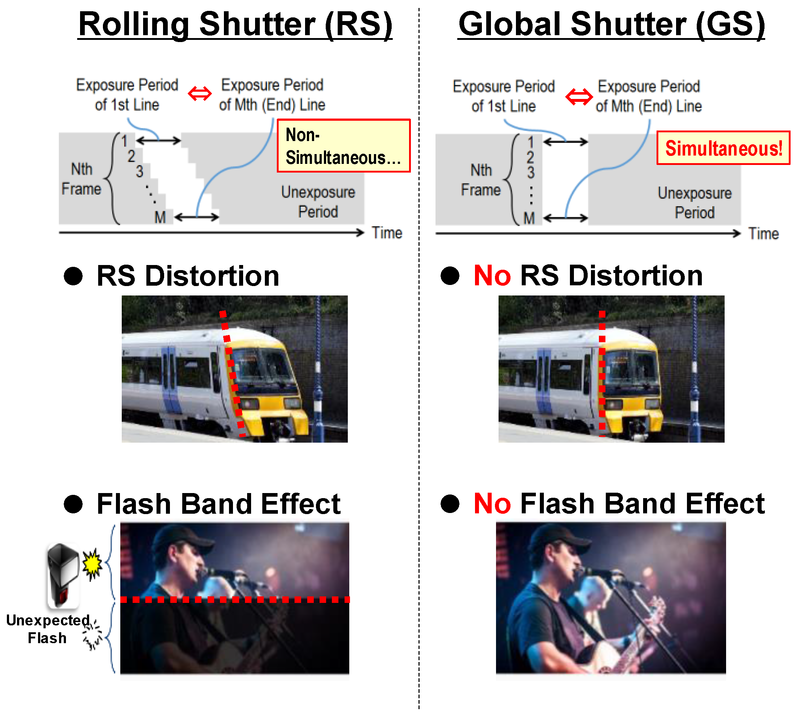 CMOS image sensors (CISs) with global shutter (GS) function are strongly required in order to avoid image degradation. However, CISs with GS function have generally been inferior to the rolling shutter (RS) CIS in performance, because they have more components. This problem is remarkable in small pixel pitch. The newly developed 3.4 µm pitch GS CIS solves this problem by using multiple accumulation shutter technology and the gentle slope light guide structure. As a result, the developed GS pixel achieves 1.8 e− temporal noise and 16,200 e−full well capacity with charge domain memory in 120 fps operation. The sensitivity and parasitic light sensitivity are 28,000 e−/lx·s and −89 dB, respectively. Moreover, the incident light angle dependence of sensitivity and parasitic light sensitivity are improved by the gentle slope light guide structure. […] two key techniques to realize superior optical characteristics while suppressing the reduction of saturation more than the conventional GS pixels. 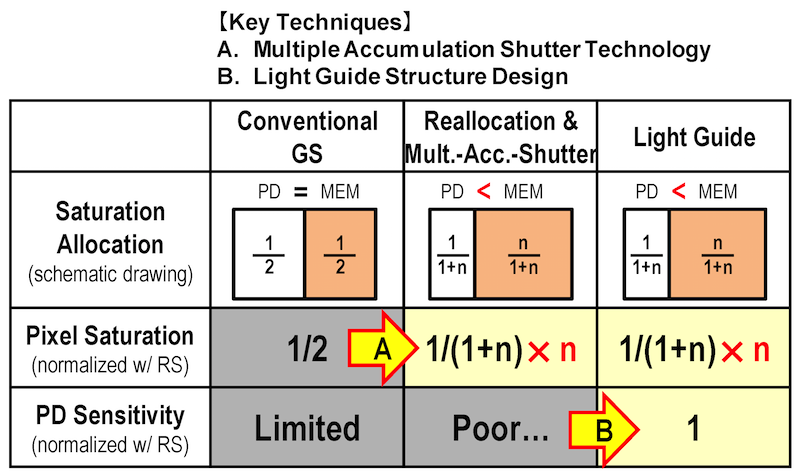 The first technique is the multiple accumulation shutter technology. 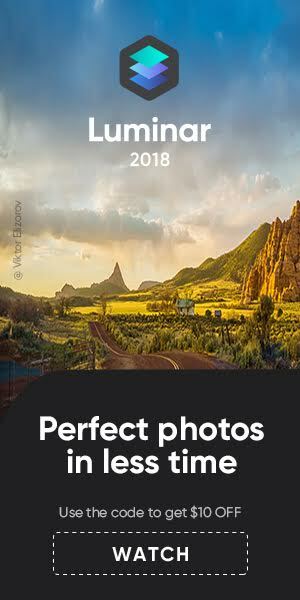 This technique improves pixel saturation. The second technique is the light guide structure. This technique improves optical performance. As a premise of adopting these two techniques, we first explain the idea of saturation allocation that is important in these techniques. The research paper is publicly available here, and was spotted by Image Sensors World. 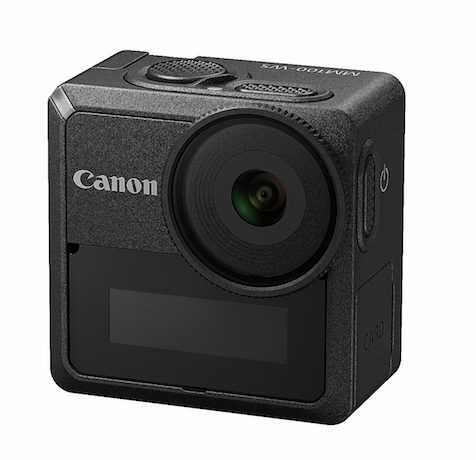 The Canon MM100-WS is a modular, multi-purpose camera that looks pretty much like an action camera, but is not. It’s aimed mainly at industrial applications, security and surveillance. The MM100-WS is a modular system. That means you will be able to attach batteries, screens, and probably some more stuff. Some of the pics here give a good idea about the modularity. Moreover, Canon will make the API (application programming interface) available upon request (and disclosed under NDA), so all sort of customisation will be possible for a variety of applications. Cool gear. Looks definitely similar to an action camera, and it looks sturdy too. Canon is not new to multipurpose cameras. The folks at Cinema5D interviewed Canon’s Terunori Tajiri during Inter BEE 2017 to learn more about the Canon MM100-WS. The Canon MM100-WS Multi-Purpose Camera features a compact body size of approximately 1.57 in (w) x 1.57 in (h) x .85 in (d). The multi-purpose module camera has a highly customizable body designed to accommodate various module solutions and features a high-level of dust and moisture resistance and durability needed for a wide range of applications. In addition, the camera is capable of capturing images in low-light environments with as little as 1 lux of illumination. The press release is here. The Canon MM100-WS is not going to be sold to the general public, it’s a business to business product. Want one? You have to contact Canon and ask.